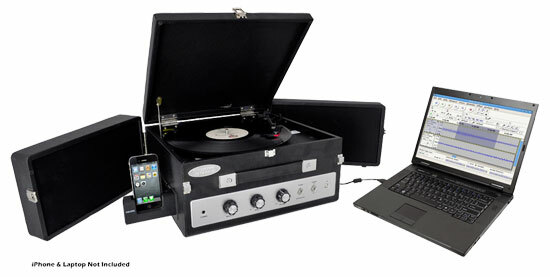 This turntable-in-a-suitcase is practically portable. 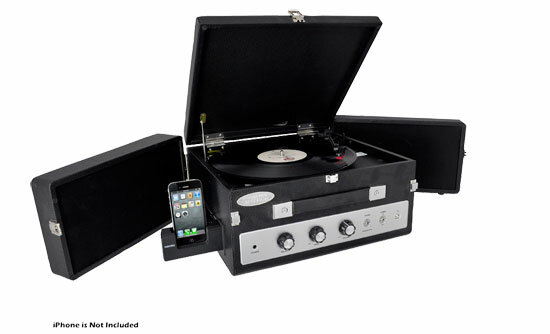 It comes in rugged suitcase with fold-out speakers. 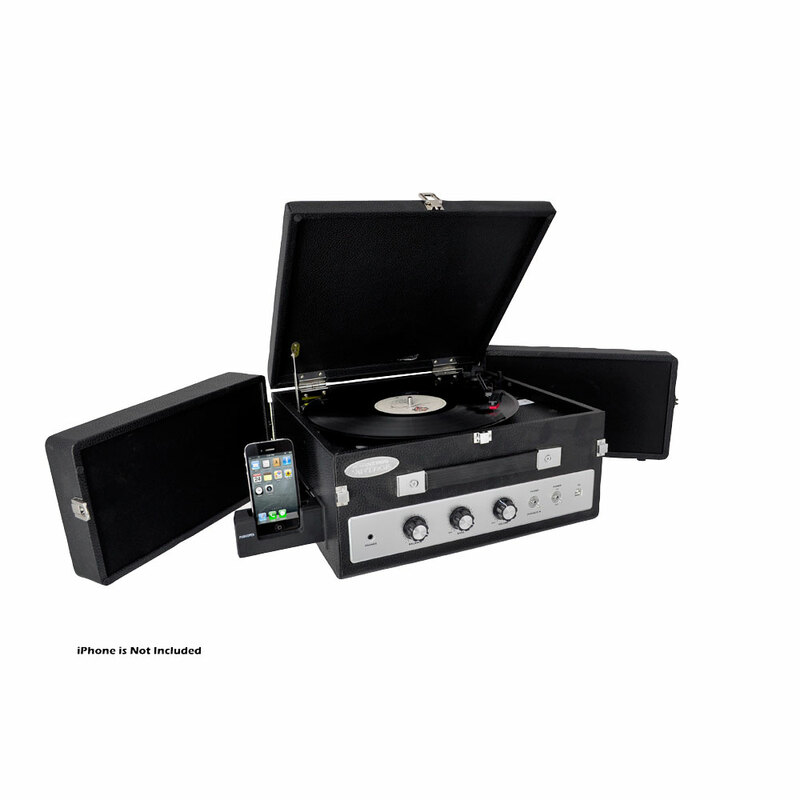 It's equipped with a USB connector, so you can hook it up to your PC or Mac and record your favorite vinyl hits to digital music files like an MP3, OGG, or WMA. Auto return, auto stop phonograph. 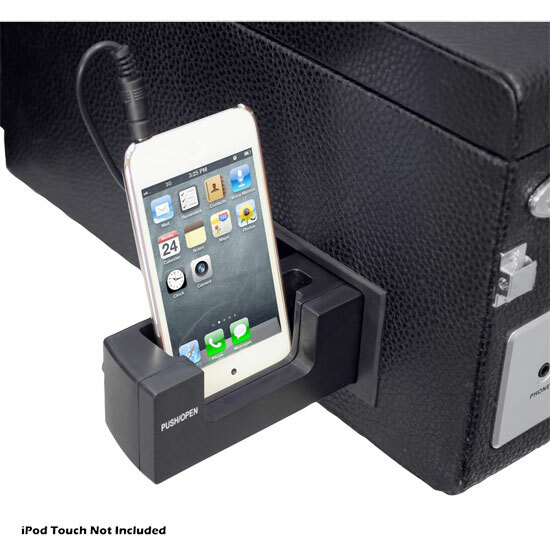 Aux-in port allows you to listen to music from an external music player through this system's speakers. 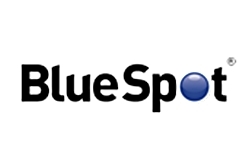 Headphone output for private listening. Runs on 110 V AC power. Included accessories: 45 rpm adaptor, CD with computer software, USB cable, aux-in cable, and AC adaptor.